Home / Books / John Haffert / You, too, Go into my Vineyard! 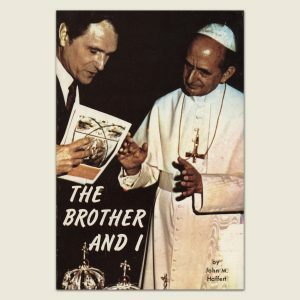 This book gets its title, and is based upon, the words with which Pope John Paul II reaffirmed the teachings of the Council of Christifideles Laici on the role of the laity in the active life of the the Church. It is a parting cry of joy and hope to millions called by God Into His Vineyard at the dawn of a new and glorious age.